Centuries before anyone ever heard of a margarita machine, before tequila shots became a rite of passage and "with or without salt" entered the bartending lexicon, Mexicans were distilling the exotic fruit of the agave plant. 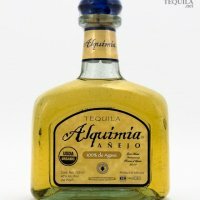 But unlike the famous concoction that gave the world household names such as Jose Cuervo and Don Julio, mezcal -- the 'poor man's tequila'-- has nourished an inferiority complex for decades. He said, 'I thought I was going to die before tasting another mezcal like that,' Angeles said. 'Maguey' is the common word for agave -- Greek for 'noble plant.' Long before Columbus reached the New World, indigenous tribes used it for clothing, construction, food and, yes, alcoholic beverages. But researchers say Spanish conquistadors first distilled the fermented maguey drink, known as pulque. The new quality-control laws and a rigorous certification process -- now required for all exports -- are beginning to redeem mezcal's reputation, promoters said. Mezcal still represents a tiny fraction of tequila-dominated liquor exports from Mexico. Shehadeh said the problem was that large tequila producers devoted millions to advertising, while mezcal makers were struggling just to let people know they weren't putting out worm-laden, rotgut liquor. However, mezcal hasn't entirely outgrown its rough and ready reputation. Although the worm seems to have outstayed its welcome, a new brand has made a big splash by bottling a different kind of critter. The label says it all: Scorpion.